Atherosclerosis is a slow, progressive and complex disease of the arterial wall. It is the leading cause of death, heart attack and stroke in industrialized nations, and the incidence of this disease is rising worldwide (1). In general terms, it is a process where fatty substances, cholesterol, debris, calcium, fibrin (a clotting protein in blood) build up in the inner layer of an artery (2). This build up is called a plaque. A plaque can narrow the artery, and partially or completely block blood flow. There are two possible events that can occur at the site of a plaque. The first possibility is there may be bleeding into the plaque. The second possibility is that a thrombus (blood clot) can form on the plaque surface. If either of these events occur and blocks the entire artery in the heart, chest pain (angina) or a heart attack may result. If the blockage occurs in the brain, a stroke may result (2, 3). Many scientists think that atherosclerosis is an inflammatory disease of the artery. It can occur anywhere in the body but tends to affect large and medium sized arteries. There are several risk factors that contribute to the development of atherosclerosis. These include diabetes, obesity, high blood cholesterol, eating a high fat diet, high blood pressure, smoking, and a family history of heart disease (1, 3). In this article, the current understanding of how atherosclerosis develops will be reviewed, focusing on the key role of bad (LDL) cholesterol. 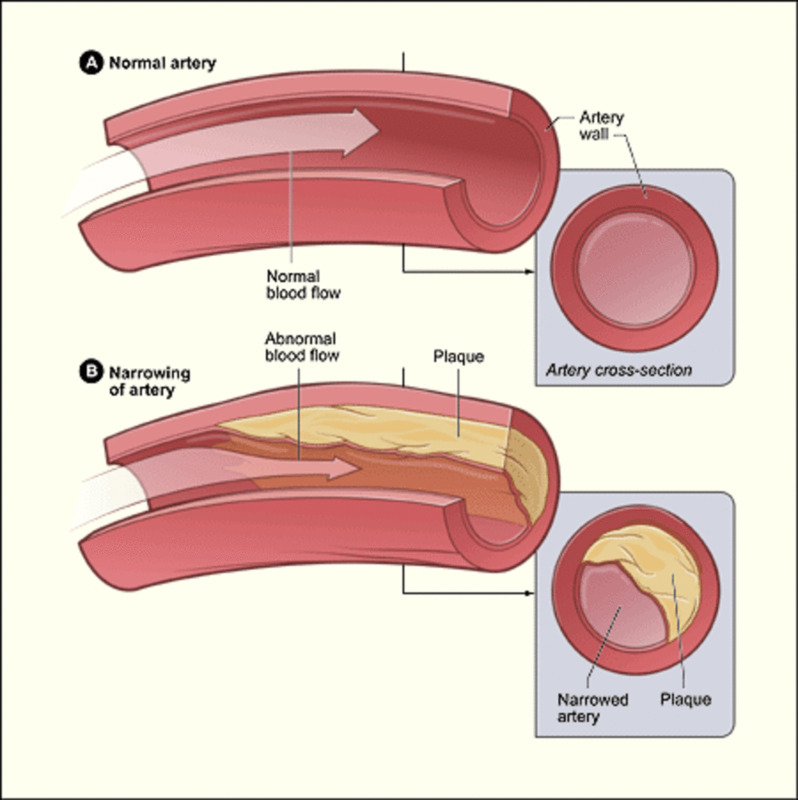 Below is a general description of the stages of atherosclerosis (2, 4). 1. Fatty streak. The development of atherosclerosis starts out as fatty streaks within the intima. These fatty streaks contain small accumulation of lipoproteins, macrophages, white blood cells, and smooth muscle cells. 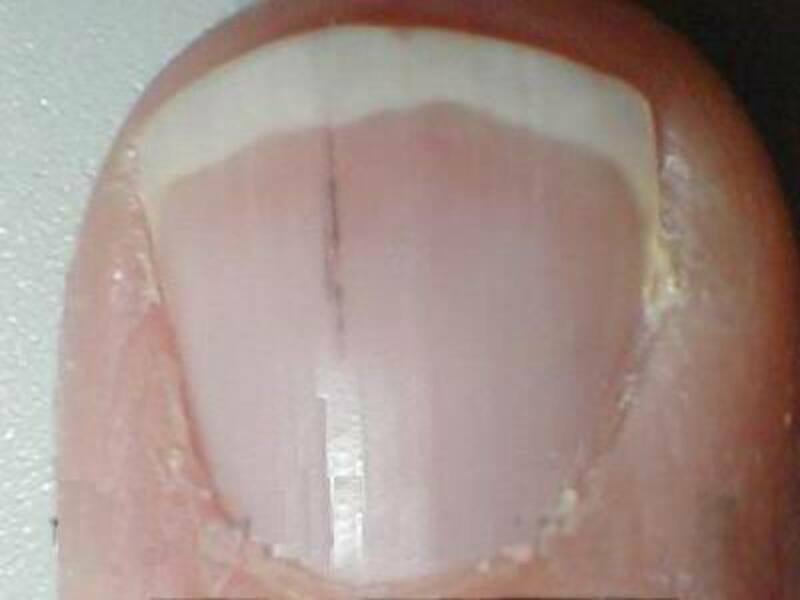 These fatty streaks can disappear or develop into stable plaques. 2. Stable Plaque. These plaques have a small lipid pool and contain few macrophages, and are covered by a thick fibrous cap. 3. Vulnerable plaque. These plaques are unstable plaques that consist of a large pool of lipids and blood clotting material, and are covered by a thin fibrous cap. 4. Plaque rupture. The plaque can sometimes rupture into bloodstream. 5. Thrombosis. A blood clot can start at the site of plaque rupture. The blood clot can grow larger, which decreases blood flow through the artery. 6. Occlusion. A large enough blood clot can block the artery. Tissue supplied by artery dies. The next section describes what LDL is, followed by an in depth review of how LDL is involved in atherosclerosis. It is well accepted that high blood LDL cholesterol plays a prominent role in the initiation and progression of atherosclerosis. LDL is a class of lipoprotein particles, which are molecules made of protein and fat. LDL particles consist of a core of triglycerides and cholesterol in a shell of phospholipids, free cholesterol and protein (apoB100). 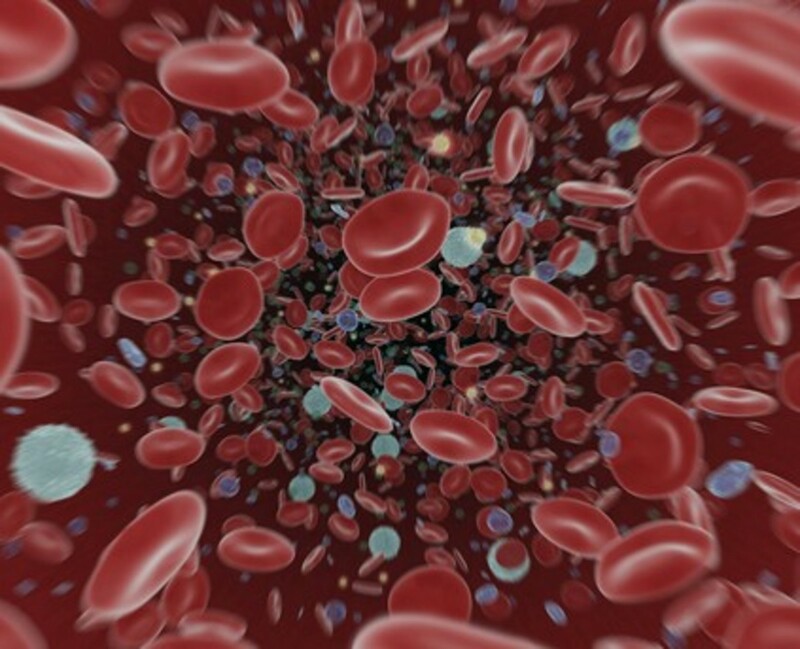 Lipoprotein particles transport cholesterol and fats through the blood to the tissues. When LDL concentrations are elevated they can trigger the events leading to the development of atherosclerosis. The early steps involve the endothelium, the single layer of cells (endothelial cells) lining the interior of arteries. The endothelium is involved in a variety of functions including vasodilation, blood clotting, and recruitment of inflammatory cells into the arterial walls. It does this by releasing several molecules. One of these molecules is nitric oxide (NO). NO appears to have a protective role against atherosclerosis by regulating vasodilation, inhibiting platelet aggregation (thus inhibiting blood clotting), reducing vascular smooth muscle cell proliferation, and blocking white blood cell adhesion and movement across the vascular wall. High LDL levels can decrease NO available in the vessel by reducing the amount and activation of the enzyme that is involved in the production of NO, or enhancing NO breakdown. This decrease in NO is the primary cause of endothelial dysfunction, which is considered one of the initiating events in atherosclerosis, and precedes the entry of LDL within the intima (5). LDL entry and retention within the intima mainly depends on its sustained blood levels. Other possible factors that may affect entry and retention of LDL include particle size, cholesterol enrichment, endothelial permeability, and endothelial synthesis of extracellular structures and proteins. Once in the intimal space, proteoglycans, which are proteins decorated with sugar groups found in the extracellular matrix (ECM), trap LDL particles in arterial intimal space. 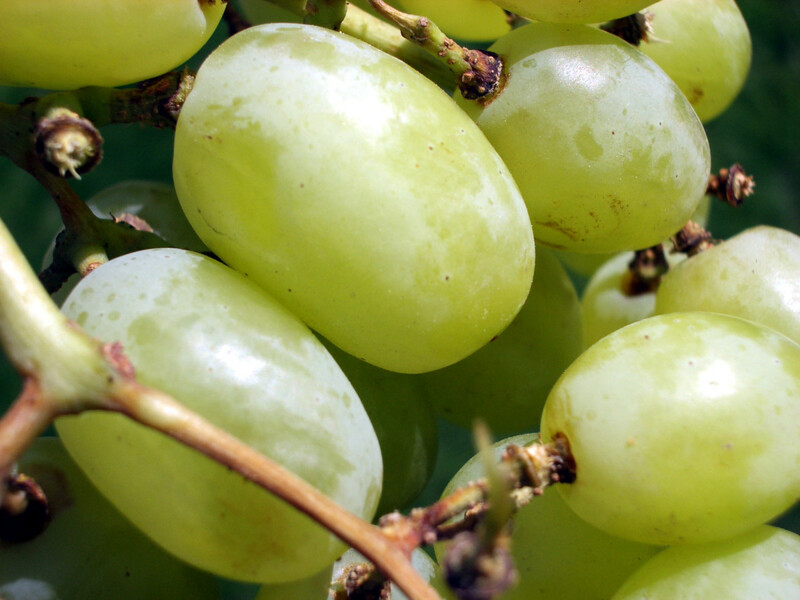 Within this space, LDL particles are then modified by enzymes, such as myeloperoxidase or lipoxygenase released by inflammatory cell, or by free radicals (5, 6). The two main types of modified LDL found are aggregated LDL (agLDL) and oxidized LDL (oxLDL). An important event during the progression of atherosclerosis is the migration of immune cells, monocytes, across the endothelial cells into the intima (transmigration). LDL particles, particularly the modified lipoproteins, increase the expression and secretion of compounds that attract cells to the area (chemotactic molecules such as MCP-1, IL8) and enhance the expression of adhesion molecules such as integrins and selectins from endothelial cells (5). These adhesion molecules are expressed on the surface of the endothelial cells and play a role in the recruitment, adhesion, and transmigration of white blood cells (monocytes and T cells). The cells can enter the intima through the spaces between endothelial cells, moving towards areas enriched with modified LDL particles. Once in the intimal space, the monocytes transform into macrophages and express scavenger receptors, which help to take up the cholesterol molecules in the modified LDL particles. The internalization of cholesterol results in the formation of foam cells, a hallmark of atherosclerotic lesions. These foam cells secrete proinflammatory molecules, growth factors, tissue factor (TF) and other substances that continue to attract white blood cells, increase expression of scavenger receptor, enhance macrophage proliferation and regulate vascular smooth muscle cell (VSMC) accumulation in the arterial wall (5). VSMC, normally found in the middle layer of the vascular wall (media layer), are non-proliferating cells in healthy arteries. In the early stages of atherosclerosis, these cells transform into actively proliferating cells and migrate into the intima. These cells are attracted by the chemotactic molecules mentioned above. In initial lesions, VSMCs are found in high numbers, but the number of these cells decreases in advanced lesions, which makes the plaques more vulnerable for rupture. The low numbers of VSMC have been confirmed in unstable plaques, where there is a large lipid core, little collagen, and few VSMCs. It is important to determine the mechanism behind the loss of VSMCs in advance lesions to ultimately develop strategies to prevent the loss of these cells and the resulting increased susceptibility of plaque rupture. LDL may contribute to the development of high-risk plaques. It has been shown to reduce the movement of human VSMCs, potentially leading to a reduction in VSMC accumulation, thus contributing to the vulnerability of these advanced plaques (5). Studies show that among the various components of an atherosclerotic plaque, the lipid-rich core is more likely to cause a thrombus than all other components. Present in this core is TF, a protein involved in the initiation of blood clots, and therefore plays an important role in thrombus formation. Inhibition of TF has been shown to reduce arterial thrombosis in lesions. TF is likely derived from macrophages and VSMC-derived foam cells. Foam cells loaded with LDL are known to release TF, which increases a plaque’s susceptibility to blood clot formation (5). It has also been reported that LDL aggregates interacting with the LDL receptor can induce VSMC TF expression and release. LDL acting on VSMC can contribute to thrombosis by promoting the release of TF from these cells. It is clear from the above that high LDL levels have many atherosclerosis-promoting effects. Consequently, lipid-lowering strategies are vital for the prevention and treatment of atherosclerosis. Many studies have shown that treatment with statins, which are drugs that lower cholesterol, reduce the risk of cardiovascular events (such as death, heart attack, cardiac arrest, stroke) (5). Additional studies suggest that the greater the reduction in cholesterol, achieved by higher doses or more potent statins, the better the protection against cardiovascular events. Furthermore, in some of these cases, there is even a significant regression of atherosclerosis. However, even with intensive statin therapy, there is still an appreciable risk of having another cardiovascular event. Thus, current research is aimed at reducing this risk by developing additional therapies that are different and complementary to statins (5). 1. Bui QT, Prempeh M, Wilensky RL. 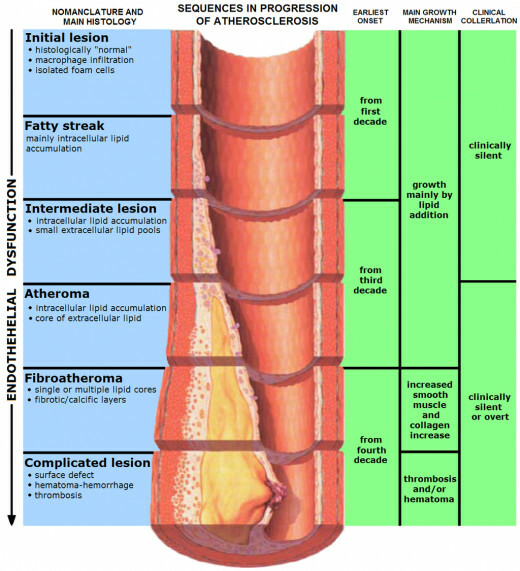 Atherosclerotic plaque development. The International Journal of Biochemistry & Cell Biology. 2009;41(11):2109-13. 2. Atherosclerosis 2012 [updated August, 14 2012]; Available from: http://www.heart.org/HEARTORG/Conditions/Cholesterol/WhyCholesterolMatters/Atherosclerosis_UCM_305564_Article.jsp. 4. Idzenga T, Hansen, H.H.G., de Korte, C.L. (Shear) Strain Imaging Used in Noninvasive Detection of Vulnerable Plaques in the Carotid Arterial Wall In: Suri JS, Kathuria, C., Molinari, F., editor. Atherosclerosis Disease Management. New York: Springer; 2011. p. 765-86. 5. Badimon L, Vilahur G. LDL-cholesterol versus HDL-cholesterol in the atherosclerotic plaque: inflammatory resolution versus thrombotic chaos. Annals of the New York Academy of Sciences. 2012;1254(1):18-32. 6. Weber C, Noels H. Atherosclerosis: current pathogenesis and therapeutic options. Nat Med. 2011;17(11):1410-22.